Using the five RGB zones on the front of the monitor, gamers can easily program lighting effects in the SteelSeries Engine to notify them on in-game timers, stats, cool downs or even Discord notifications. 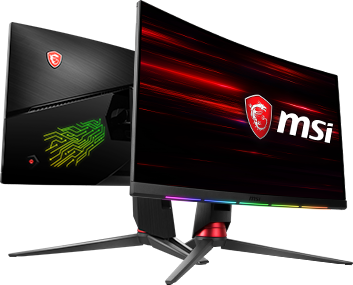 “The integration of SteelSeries Engine with the Optix MPG Series Curved Gaming Monitors brings PrismSync illumination and real-time game alerts which offer an even greater level of immersive gameplay,” said Charles Chiang, MSI General Manager of Desktop Platform Solutions. The new Optix MPG series will consist of two 27-inch monitors, the Optix MPG27C and Optix MPG27CQ. Both models feature a 144Hz refresh rate and 1ms response time. The The MPG27C has a 1080p screen, while the MPG27CQ is equipped with a 1440p WQHD screen. The Optix MPG series monitors have a wide viewing angle of 178 degrees, less blue light and anti-flicker. The height of both monitors can be adjusted and the screens can be tilted for ease of viewing. For more information, visit www.msi.com.